Taste test: Opinion was split on these chips. 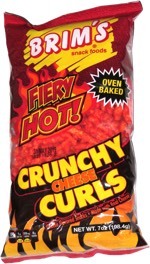 Most people thought they were absolutely terrible, suitable for inclusion among the Worst Chips Ever. A small minority thought they were decent. 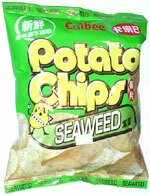 Smell test: Kind of strange, but not really like seaweed.